Recognizing the meaningful impact agriculture has on our State, National, and Global competitiveness, the Illinois Farm Bureau recognizes legislators with a strong voting record in favor of the industry. This week, Rep. Ryan Spain (R-Peoria) was among the organization’s honorees for his pro-agriculture voting record during his first term in the Illinois House of Representatives. “I am honored to be recognized by the Illinois Farm Bureau for my voting record in support of agriculture. As a legislator who did not grow up on a family farm, I am so grateful for the warm welcome and helpful education provided by our local and state farm bureau leaders. Farm Bureau members are dedicated advocates who effectively communicate the issues important to their families,” said Rep. Ryan Spain. 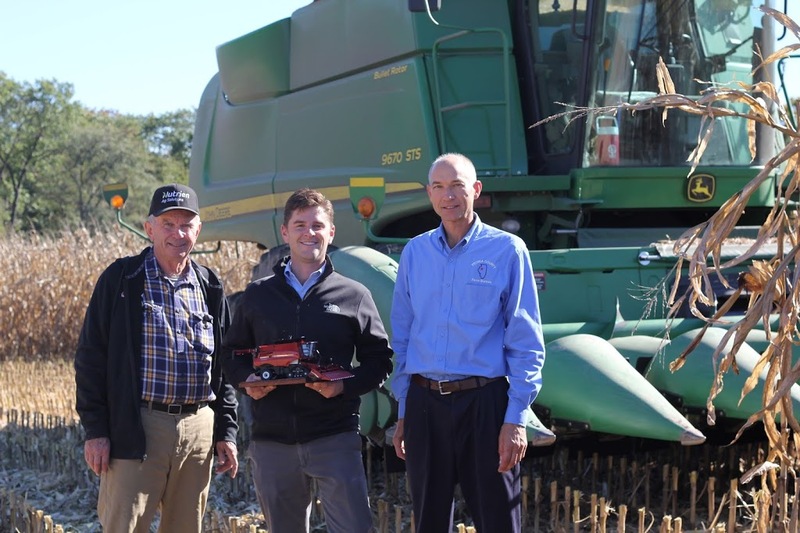 Spain was awarded the Friend of Agriculture Award by Peoria County Farm Bureau Member Fred Carroll and Peoria County Farm Bureau Manager Patrick Kirchofer on October 16 in rural Kickapoo. “As a strong advocate for farmers, I am pleased to work tirelessly with legislators on both sides of the aisle to stress the importance of agriculture in our economy,” said Spain, who represents portions of Peoria, Woodford, Marshall, Stark, Bureau, and LaSalle counties in the Illinois House.